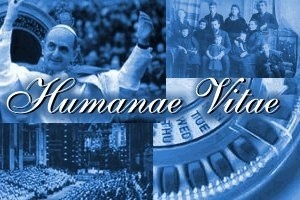 You may be forgiven for not knowing that July 25, was the 44th anniversary of encyclical Humanae Vitae. 1. Contraception would lead to conjugal infidelity. 3. Contraception would lead men to cease respecting woman in their totality and would cause them to treat women as “mere instruments of selfish enjoyment” rather than as cherished partners. 4. And finally, widespread acceptance of contraception by couples would lead to a massive imposition of contraception by unscrupulous governments.